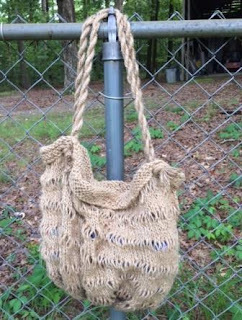 I knit this beach bag using Jute macrame rope, 3-ply, from Hobby Lobby. Next time I think I will try 2-ply which should be less stiff and easier to use. Still it turned out rather well. 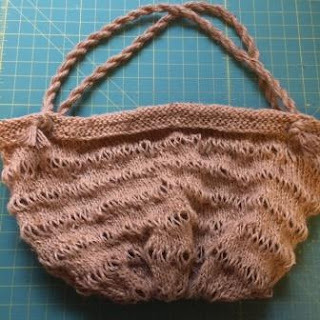 The pattern is Sea Breeze Bag. The first photo is taken with my running shoes in the bag to an effort to "stretch" the bag out. This photo was taken shortly after finishing the bag.